Hot piece is an adventure for modern d20 games. 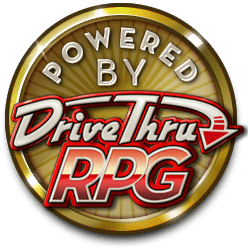 Since the adventure revolves around investigation more than combat this adventure is suitable to a wide range of character levels, though some classes (such as Investigator) will be much handier than others. Five years before the adventure begins, Sgt. John Hamish, a highly decorated, popular officer on the local police force was murdered with his own service revolver. His weapon was never recovered but ballistics confirmed beyond a doubt that his own weapon was used in the murder. Three years ago this same weapon was used in the murder of Ronald ?Downtown? McCown, a local figure in the city's underworld. Then last year it was used in the murder of Sedrick Howe, a local union official with alleged ties to organized crime. The weapon has not been seen since. Not, that is, until it arrived yesterday, wrapped in a local newspaper, in the PCs mailbox. This product is part of the Modern Dispatch e-Zine. Get a 10 issue Subscription to the Dispatch for only $12. Check out Dispatch Back Issues here. This title was added to our catalog on January 09, 2005.